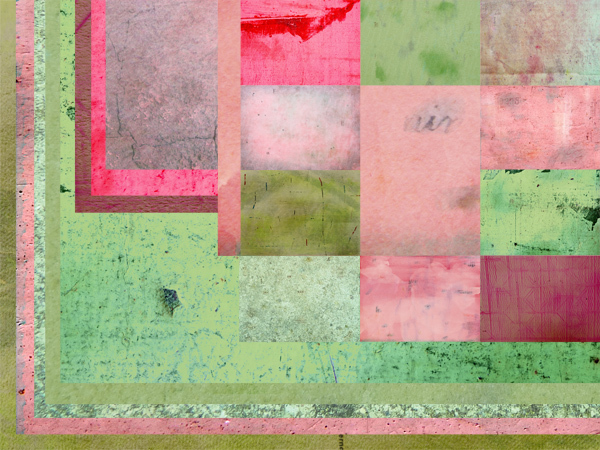 TEN STICKY TEXTURES TO PLAY WITH. Lovely new neighbours gave us home grown raspberries. Aside from the fact that they’d make opulent bangles for stylish fairies, they leave very attractive stains (this is raspberries, not the neighbours). So does rocket, if you really give it a good squeeze. Leaping ahead, my little brain said “they’d make nice textures”. Well alright, not so much a leap as a slow amble round the table. Our kitchen paper wasn’t all that inspiring though, and my attempted transfer of stains to cartridge paper was a bit of a fizzer. Which is one reason they invented Photoshop, just to give reality a run for its money. A run or a slow amble round the keyboard. But once I start playing round with these digital concoctions, I find it hard to stop. It’s not a great alchemical trip in the way that making etchings can be, but it is quite absorbing. More so than kitchen paper. Some of the surfaces combined in these textures are sandstone, mossy concrete, worn painted wood, cardboard, art deco plasterwork, old paper and the sides of buildings. 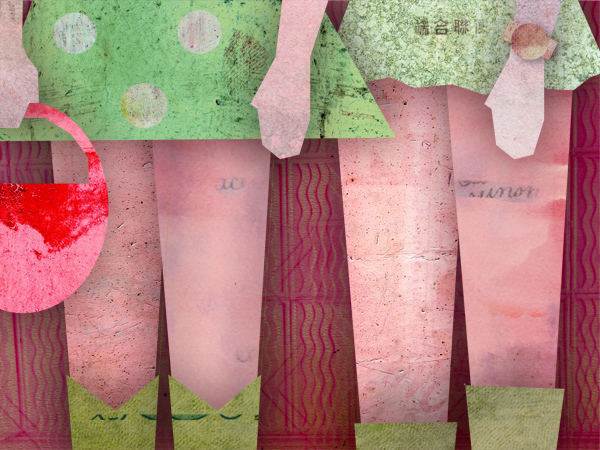 I’m always looking for ways to incorporate found type into the little images I make. Type is such evocative stuff, it gives off messages of its own – “I’m grimy and Dickensian”, “I’m some sort of beer”, “Don’t argue, pay attention”. So there are a few wisps of type in most of these textures, telling a tale or hinting at one. In my engagement with the internet, I always hope there is somebody out there just like me, looking for exactly that combination of things. One day we’ll find each other. © 2012 Skipism. All Rights Reserved.